Brendan talks about games that use digital assistance and the old VHS game Nightmare. What makes an interactive game like this fun, and how would a new game that worked this way function? What elements did Brendan miss? What would you want to see in an interactive game of this sort? 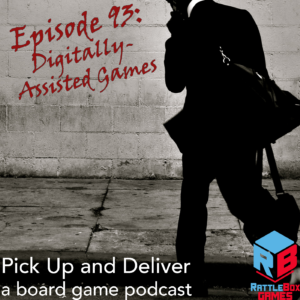 Join us over on Boardgame Geek guild #3269 and let us know what you think!